This is the perfect hair accessory for your little girl! 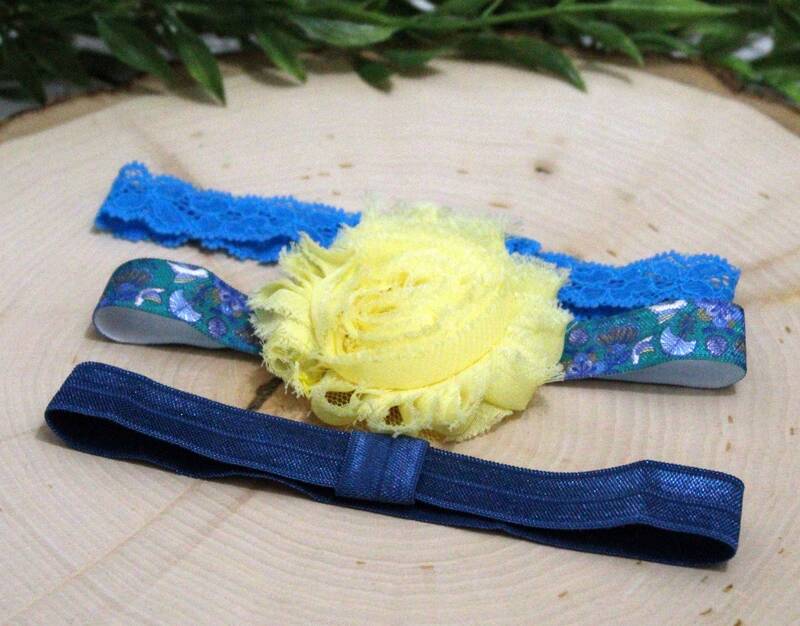 Our elegant baby headband set features a removable lovely buttery yellow shabby flower hair clip. Three comfortable elastic headbands in royal blue, teal dove print, and blue stretch elastic give you options for wear or wear the clip on it's own. Whether your looking for an outfit for a cute photo shoot, something to match a fancy outfit or just a casual hair ribbon, this headband would be great. It makes a nice addition to a baby shower gift for your favorite mother-to-be.